Launching “Wonderful Winter Warming Soups” with a weekly soup recipe to warm the cockles, taking just pennies to make and packed full of flavour, they are designed to help make your food budgets go further as well as providing an easy and quick meal to make at any time of the week. Put the onion in a large saucepan, add a splash of cold water, a pinch of salt and cook on a medium-high heat for 5-10 minutes or until the onion is starting to become transparent in look. Add the parsnips and vegetable stock along with the thyme and cloves. Bring the ingredients up to boiling point and then reduce the heat. Cover the saucepan and simmer for 20-25 minutes or until the parsnips have become soft. Remove the cloves and blend with a hand blender to create a thick consistency textured soup. Season to individual preference and serve hot with warm, crusty bread. Dawn: Hey presto! A Winter warming dish that makes a great starter at a dinner party or a fab lunchtime meal, anytime of the week. Andrew: And it can be frozen to eat at another time, too. I like the idea of soup for lunch. Easy to transport in a flask or airtight container to work for reheating in a microwave. Dawn: Yes, and saves on your pennies, too rather than buying expensive mass manufactured soups. Andrew: Which really lack the “WOW!” taste factor. We ought to post some healthy bread recipes to go with our soups Dawn. Dawn: We can and a great idea! Over to you Andrew! Our soup is low in fat, healthy and cheap to make! All in all, a real winner! For more from the Cooking Duo, follow this blog – www.forfoodlovers.wordpress.com – and the Twitter account @Love_Food_UK for daily recipes and updates. Have fun cooking, folks! 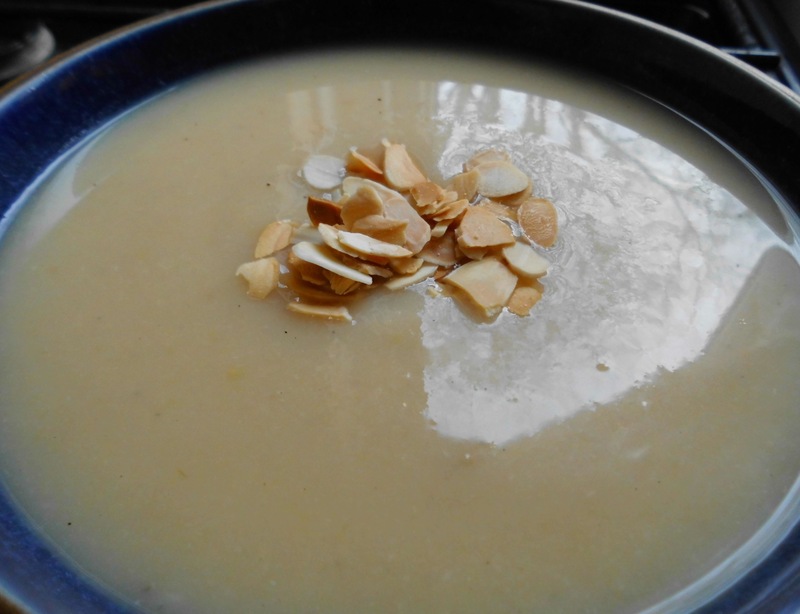 Posted on January 26, 2014 by Love Food UK	• This entry was posted in Food, Home Cooking, Love Food, Soups, Wonderful Winter Warming Soups and tagged Easy Recipes, easy to follow recipes, eating in, Home Cooking, parsnip and apple soup, quick meals to make, Soup. Bookmark the permalink.